Jamie Cat Callan: Hotel Ekta! Trés chic! While in Paris, I had the pleasure of meeting with Mademoiselle Delphine and Monsieur Chedi at Hotel Ekta near the Champs-Elysées. The name, Ekta, is an homage to the camera film, Ektachrome, which was very popular among the fashion photographers during the 1960's. 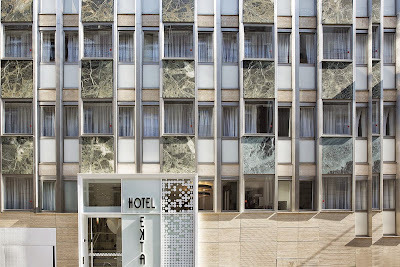 I had a wonderful tour of Hotel Ekta and learned that it was designed by Jean-Philippe Nuel and Natasha Stojkovic. These amazing designers believe in constructing an entire cinematic universe filled with a sense of story, character, drama and mystery! Ooh La La! The entire Hotel Ekta channels the fabulous and futuristic designs from Courréges. 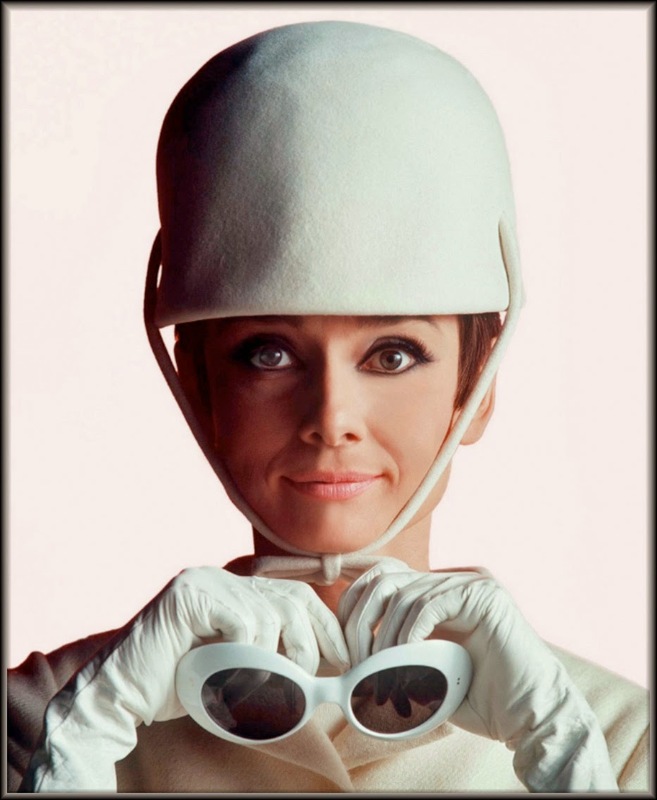 He was best known for his "space age collection." Just look at Audrey Hepburn in her Courreges! And this is the lovely Delphine, the manager of the Hotel Ekta. Isn't she adorable?! Very Courréges. Very French! Delphine explained to me that the hotel's designer chose Courréges and Pop Art as the theme throughout the lobby and all the rooms. J'adore the black and white and pops of yellow! Trés chic! The Hotel Ekta is filled with stylish retro photographs from the photographer, Benjamin Deroche. 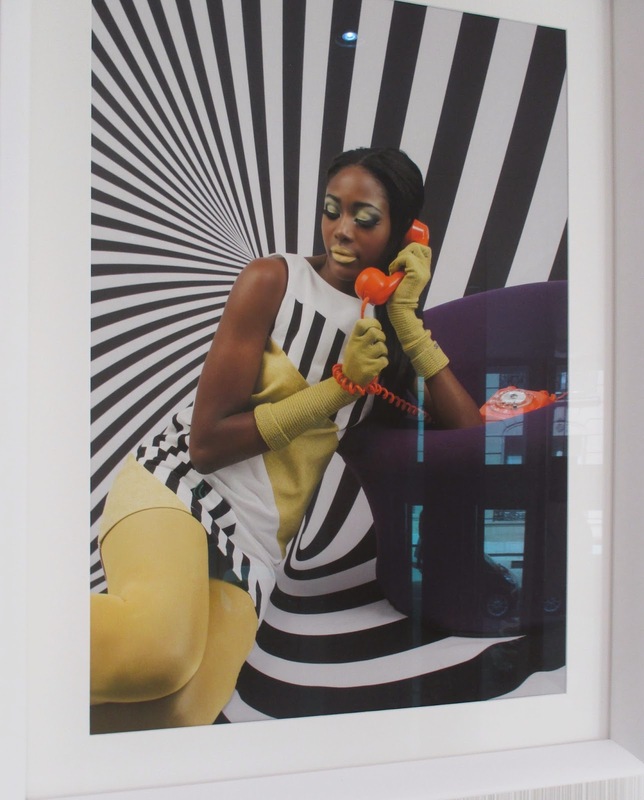 Oh, and we both agreed, we dream of owning an orange telephone. Doesn't every girl? Hello? Hello? Oh, bonjour, monsieur! C'est moi a la Hotel Ekta! Courréges is credited with inventing the mini skirt, but some people say it was really the British designer, Mary Quant. At any rate, great minds, think alike! 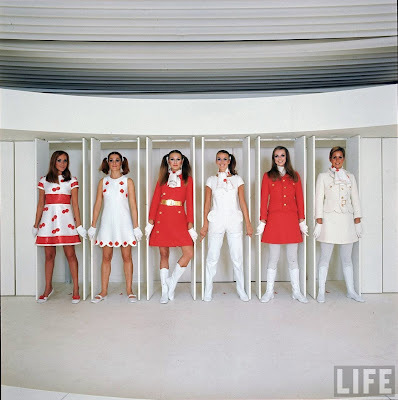 When I was around twelve years old, I absolutely lusted for these Courréges Go-Go Boots! 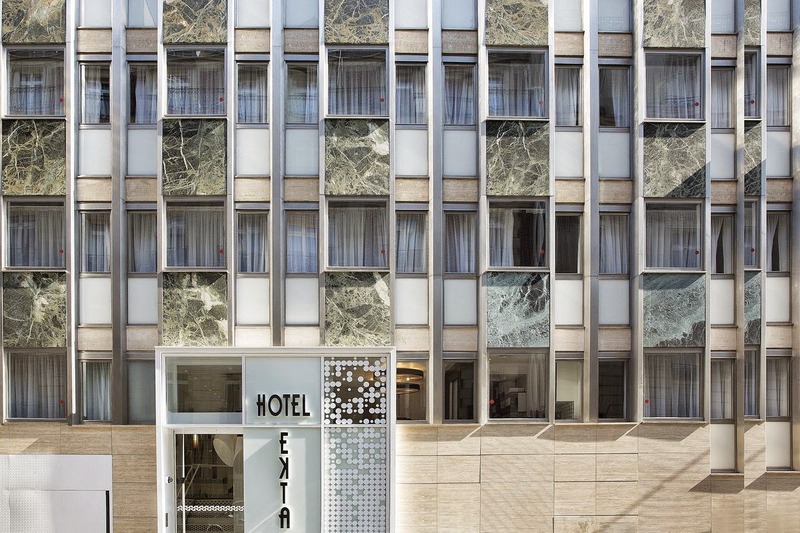 The Hotel Ekta is so stylish! I was there to research the possibility of hosting an Ooh La La! Paris Tour there. 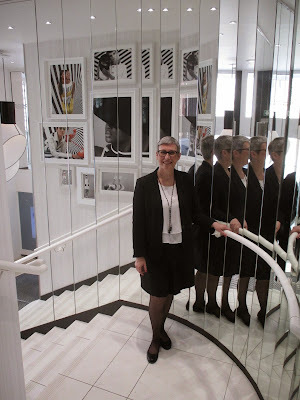 The rooms were so beautiful and I loved how the mirrors on the stairs to the lobby replicated the ones that Coco Chanel had installed in her famous Atelier on Rue Cambon. Remember the scene in Avant Chanel? The Hotel Ekta is definitely worth a visit, mes amies. So convenient to shopping on the Champs-Elysées. Merci beaucoup, Delphine! Au revior! 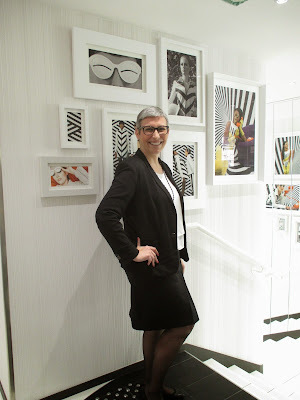 J'adore Hotel Ekta et Courreges, Jamie! 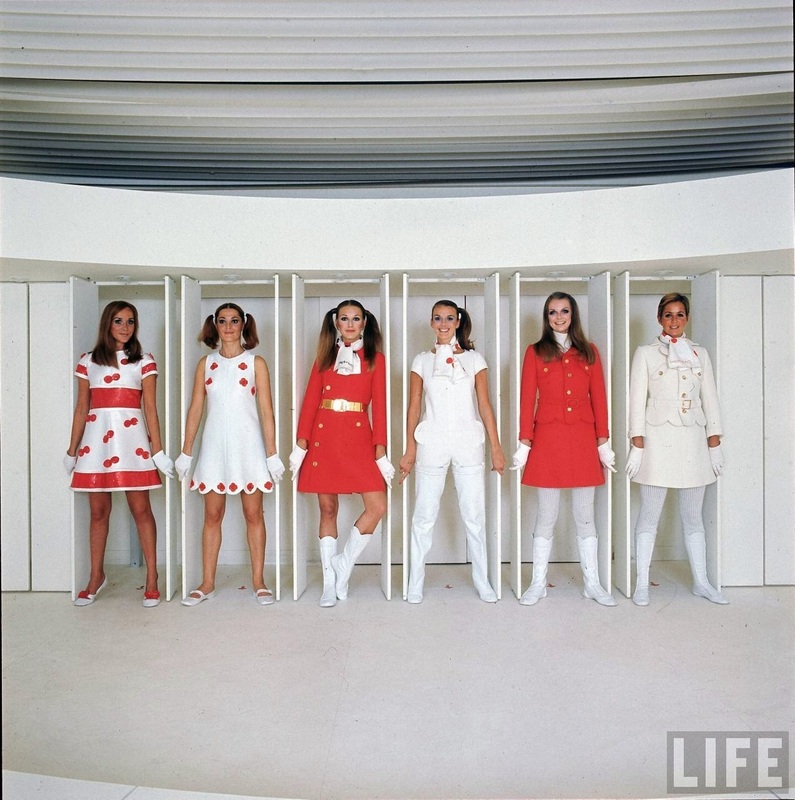 And I had a pair of those white go-go boots (imitation Courreges) when I was 12 years old! They were fab with my mini-skirts! !